If you are looking for a well-built and tech-savvy vehicle, then the Nissan Armada might just be what you’re looking for. This full-size Nissan SUV is built to provide the ultimate in comfort and safety for you and your passengers. 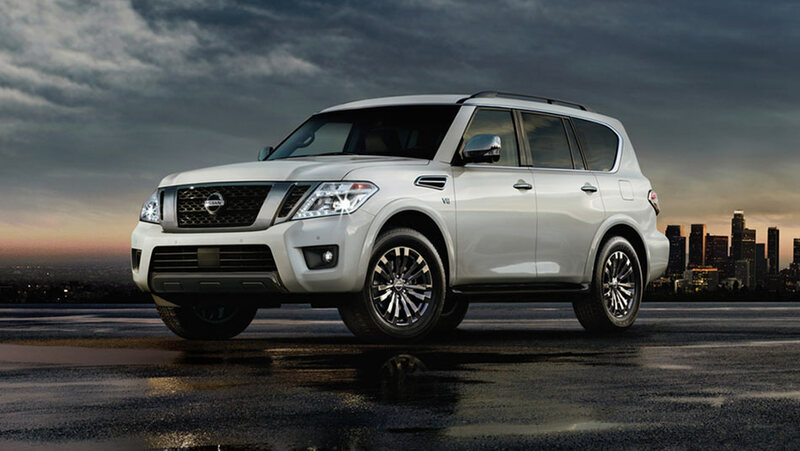 The base model, the 2019 Nissan Armada SL, has a starting MSRP of $65,498 and is equipped with several standard features such as 20-inch wheels, Bose® audio system, Navtraffic® and NavWeather®, USB input, rear liftgate, and Memory System. Contact us at Ericksen Nissan, your choice Nissan Edmonton dealership, for more information on this vehicle or come in and take a look for yourself. The Armada is Nissan’s high-end SUV, designed for individuals who require sophistication. With three-rows of seating and the capacity to hold up to 8 people, you’re sure to always have enough space for your next adventure. The 10-way power adjustable driver’s seat has a Memory System that saves your preferences, like your seat’s distance from the steering wheel, side mirrors, and more. The passengers at the back can control their temperature and there are also available 8-inch monitors located behind the front head restraints, for passenger entertainment. When it comes to performance, the 2019 Nissan Armada is equipped with a 5.6-litre, 32-valve Endurance V8 engine capable of delivering 390 horsepower and 394 lb-ft of torque. That’s not all, this full-size SUV can tow up to 8,500 lbs. At Ericksen Nissan we carry a wide range of accessories and parts that you use can use to enhance the look and performance of your Nissan.